Be safe with your keys – be sure that every door and window in your home can be locked. A burglar is far less inclined to break into a house if they have to shatter glass or spend a great deal of effort on entry. For each door, make sure you have a labelled key and carry the keys with you when you’re out and about. Never hide keys near an entry point to your home, such as under a doormat or inside a flowerpot. Although this is common practice, consider how simple it would be for an intruder to find the key and gain entry. Lock up when you leave – there may be times when you don’t lock up, perhaps if you’re just popping out for a short time. However, regardless of how long you’re planning to be out, it only takes minutes for a burglar to do serious damage. Even if you’re just nipping out for a pint of milk, make sure you lock up every door and window, in the same way you do when you’re going on holiday. Ditch the deliveries when you’re away – when your house is unattended, take extra precautions to avoid burglary. For instance, an intruder is more likely to know that you aren’t home for an extended period if deliveries are left outside or your letterbox is full. Don’t let your home look like an easy target – either cancel deliveries while you’re away or ask a friend or neighbour to pick them up for you. Implement proper security measures – lastly, it is important to consider different kinds of locks for each door in your home. For instance, you might use a mortice deadlock for your main entrance and a British Standard 8621 lock for secondary doors. 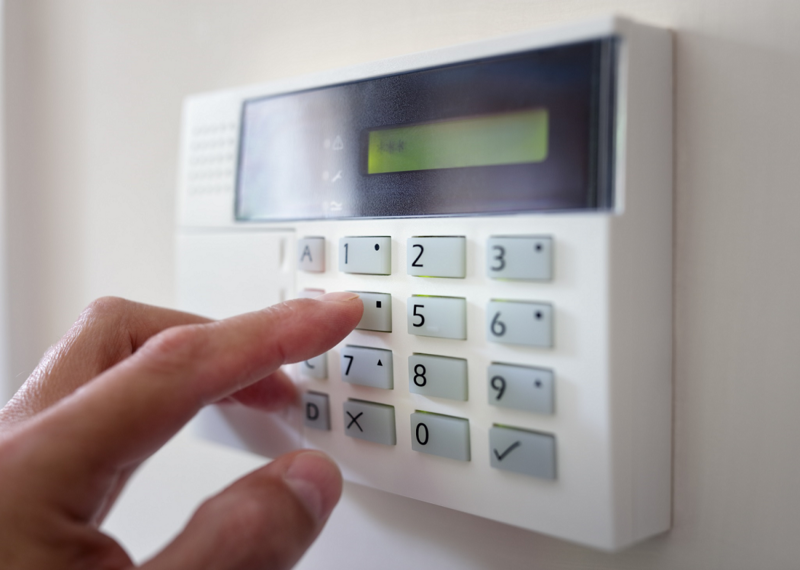 You may also want to think about installing an alarm system to detect potential intruders. Finally, do ensure that your home insurance is up to date and you’re adequately protected. We know the comparison websites lure people in with cheap deals but we never recommend you base your decision on price alone and cheap insurance deals are rarely what they seem. Instead of trying to navigate the internet yourself and finding a product you’re not sure about, pick up the phone and have a chat with us. We deal with the major insurers, can provide you with the reassurance that you’re adequately protected and we’ll help you if ever you need to claim. Chat to us on 01444 810 088 or email us. Despite what you see on the movie screen, burglars’ typical method of entry into homes is simple: they use the door. So we've put together some suggestions to help you keep your home and valuables safe this winter.